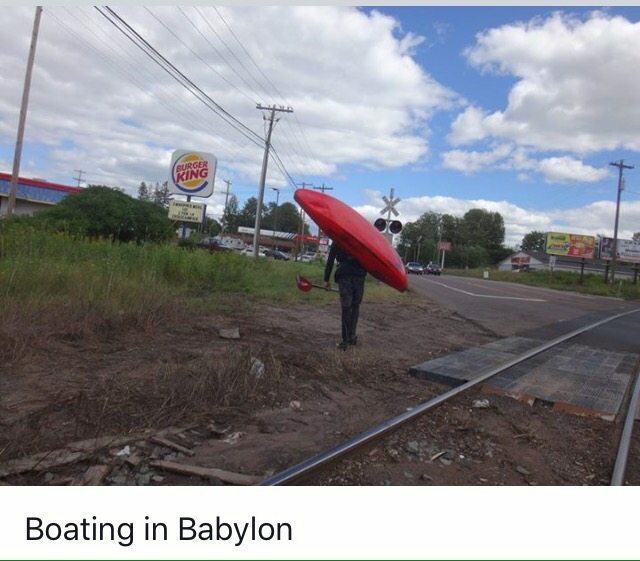 BOARDING BABYLON ~ Crossing From The USA Into Canada In Search Of Riverboarding Shangri La. 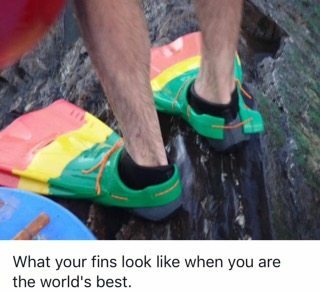 by Asaf Arad | DBP MAGAZINE ONLINE The World's Best Free Whitewater Publication. 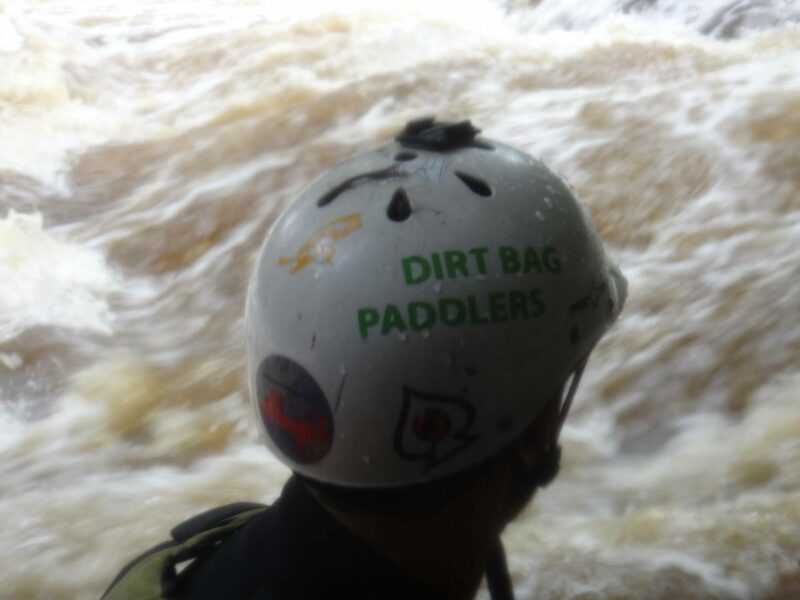 A few days after arriving at the Dirt Bag Paddlers HQ at Kosir’s Rapid Rafts on the Wisconsin/Michigan border, a weather front moved in bringing rain to the area. 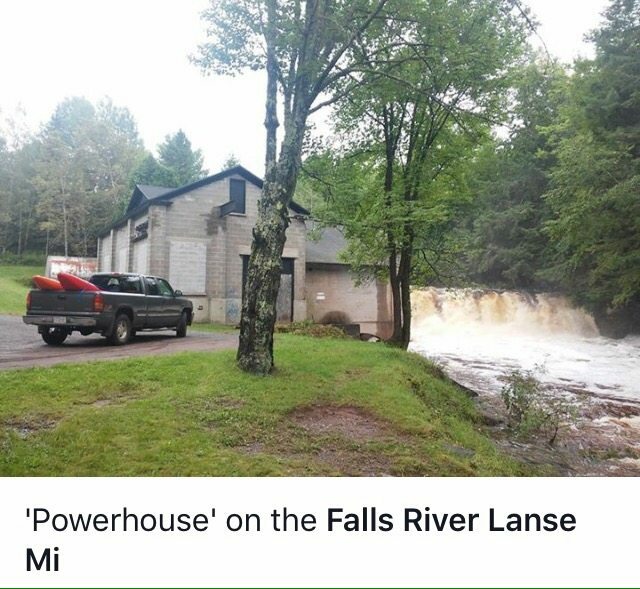 It didn’t take much to motivate and rally when the gauges showed a rising Falls River by L’Anse, Michigan – just a few hours drive away on the shore of Lake Superior – into which the river itself flows. 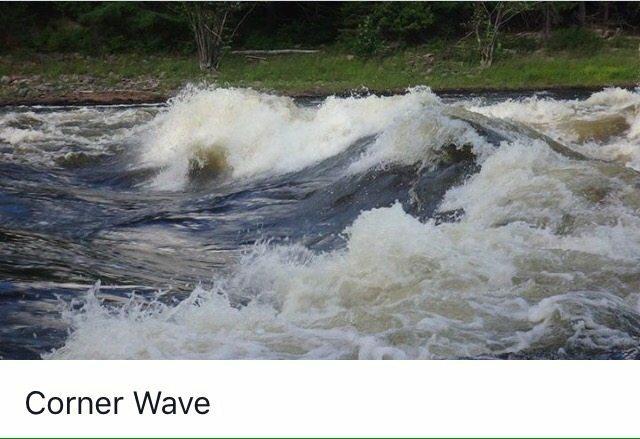 The river is completely rain dependent – rising and falling VERY fast. 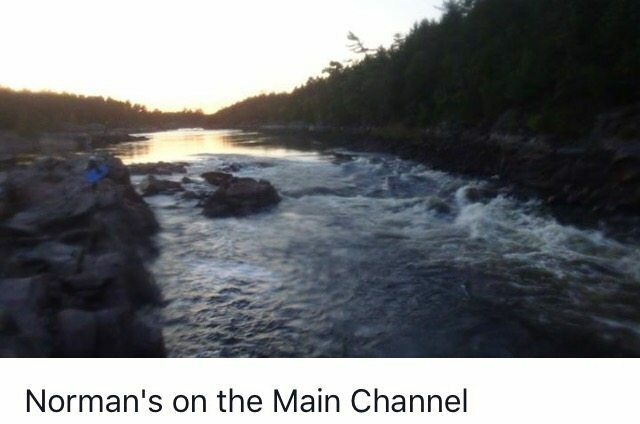 We waited until the evening before checking the gauges again, and based on the rising trend, the decision was made to head up there the very same night, sleep up by the lake and hit the whitewater first thing in the morning (after doing some scouting). 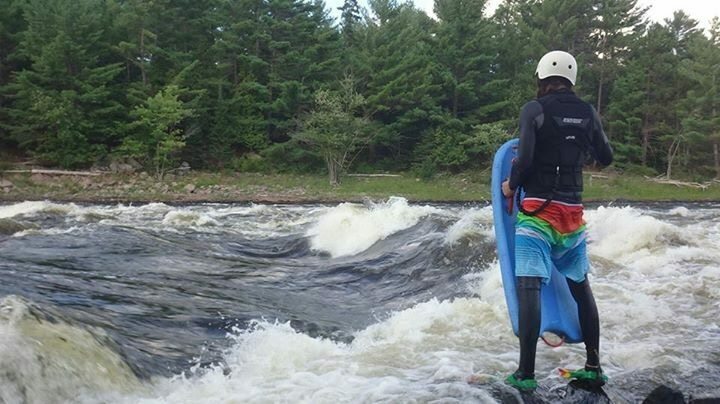 Dale #danewho Guarniere, Michael Keller and I set off that night and arrived at the lake sometime around midnight, another unexpected stop for the Babylon Tour – Riverboarding North America. 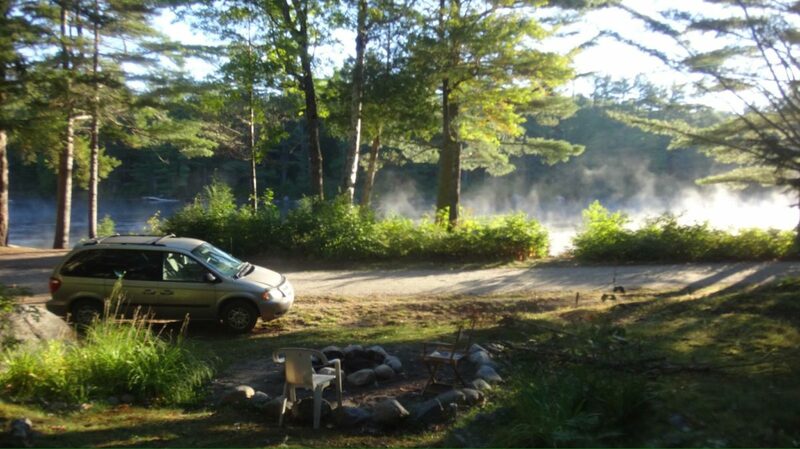 We parked in a parking lot by the water and slept until the sun, birds, and old ladies with dogs began to stir around the vehicles. 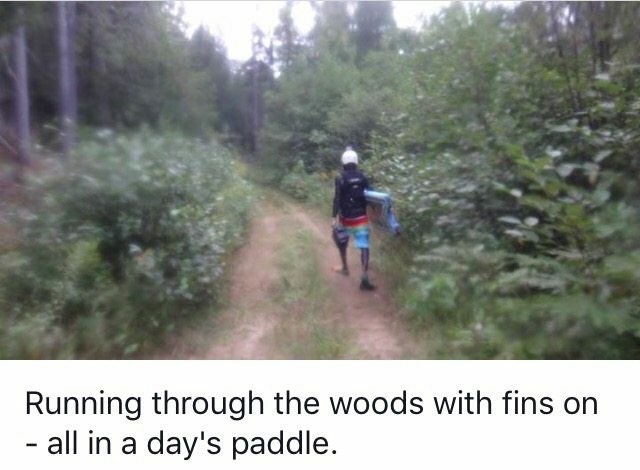 There wasn’t much information available on the run itself – and only Dale had ever run it before (only once before in completely different water levels) – so a considerable amount of time was spent scouting in the morning (we definitely spent more time scouting than actually running the river). 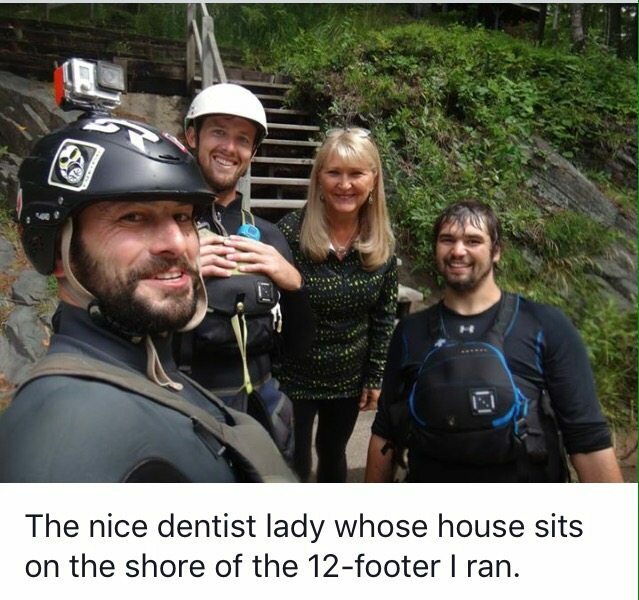 We had to hike through private property in order to get a glimpse of the rapids, and the people who were home were all very nice – allowing us to walk through to the river’s edge. 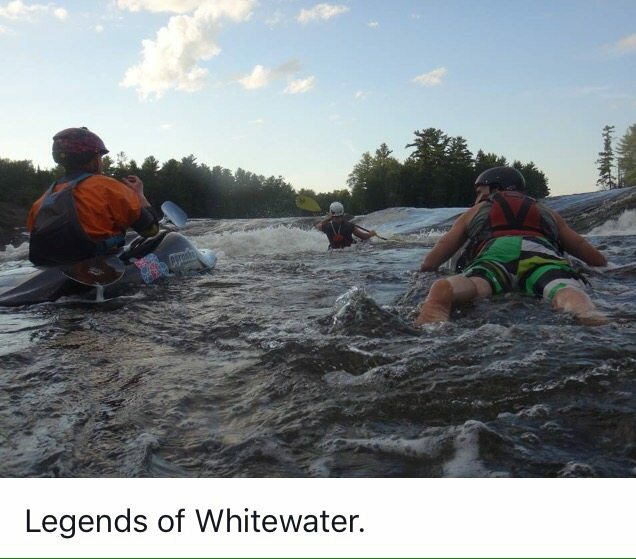 What we saw was an awesome, consistent Class III+/IV section of whitewater. Super fast, with little to no eddys along the entire stretch. 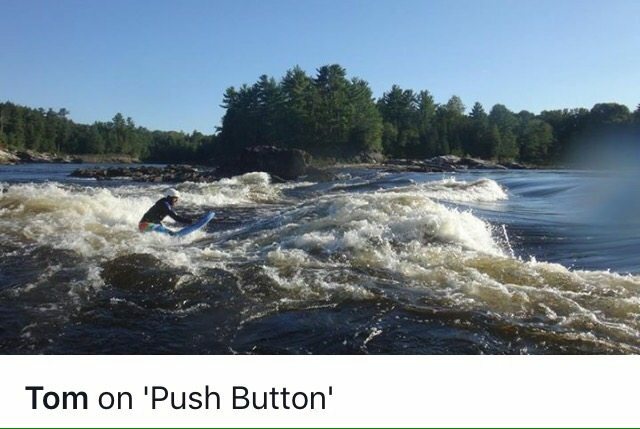 The run is known to have “80 waterfalls” – which in essence are really just ledges – most just around a few feet, with a few exceptions; a couple 12-15 footers, and a 20 footer right at the top of the run (Powerhouse)… but with the high water levels that day, most of those ledges just turned into really fun wave trains. 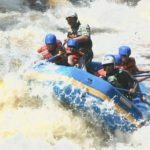 The run was somewhat technical with some chance for getting stuck on some strainers along the riverbanks – but we stayed close together, sending it more or less down the middle and ended up having a great run – So Fast, but SO much Fun. 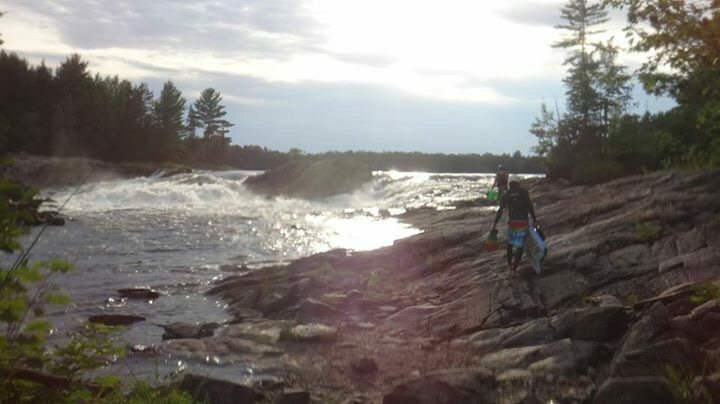 I ran 1 of 3 of the higher falls – a sweet 12 footer or so that sent me waaaay DEEP. Dale charged the 15 footer, and Michael ran them all – often more than once. We took out with more stoke than when we put-in and after some post-run scouting of the lower section (from the take-out to Lake Superior) Michael Keller decided to get back in the water; he ended up running all the way to where the brown waters of Falls River spill into Lake Superior, Michigan. 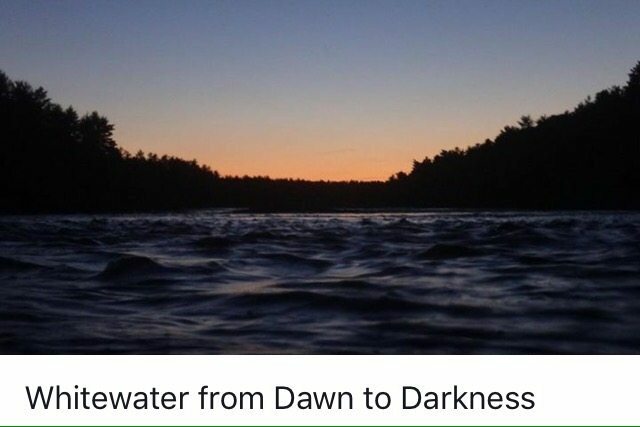 The very next day the river dropped back down to its low and unrunnable flows and we headed back to Niagara, Wisconsin – it was an absolutely perfect execution of a plan – it could not have gone any better. This was, by far, one of the most entertaining short river missions of the tour. 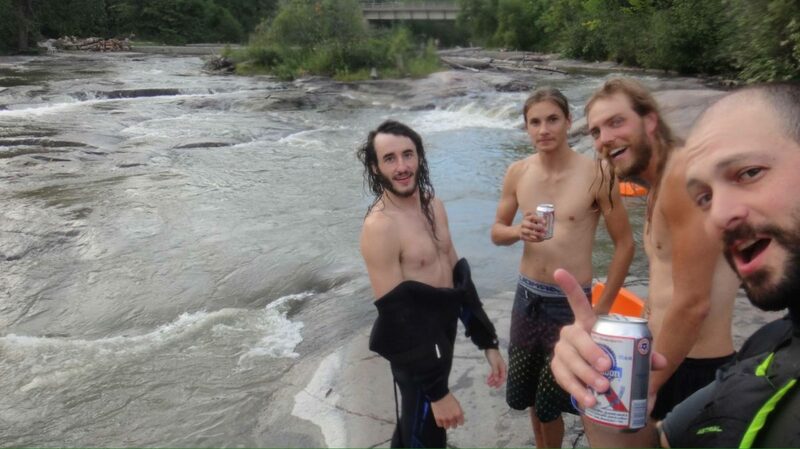 Lots of fun and laughs with the DBP boyz and a super fun river with SO much potential (upstream of the put-in looked very promising as well), a highly recommended run for anyone who is close-by when it begins to rain. 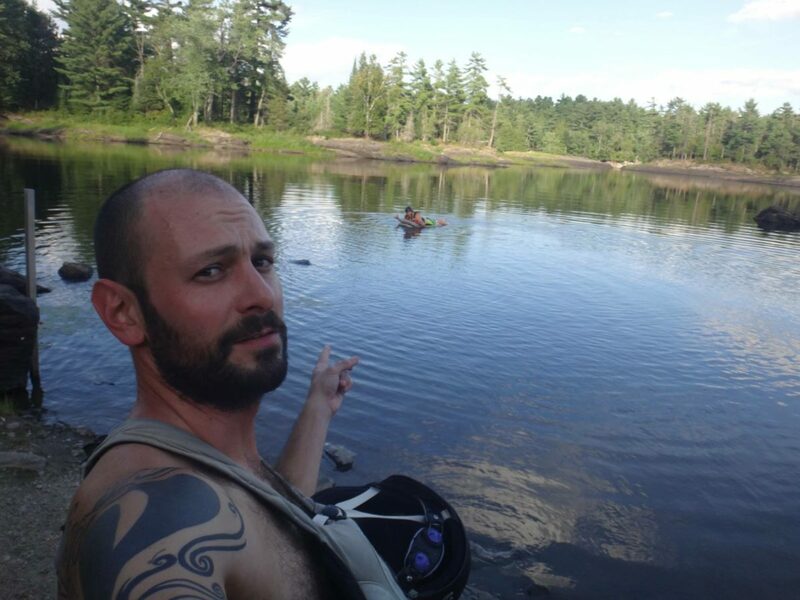 After spending just over a week with the Dirt Bag Paddlers, and with my US visa running out, it was time to cross back over the border into Canada (crossing 3 of 4 for the Babylon Tour – Riverboarding North America) and hit one of the most amazing rivers in the world – and one that I have dreamed of getting on since I got into whitewater – the Mighty Ottawa River. This river boasts some of the biggest water on the continent, and even though at this point in the year it was on the low side of medium, it was still very much a large volume river that reminded me a lot of the White Nile River in Uganda – large channels – each with their own unique rapids and many islands separating and dividing the flow (many of which are under water during high flows in winter). It is an amazing landscape that has the potential for endless exploring and discovery – and it is this place that the legendary Paterson Brothers (Tom & Jon) call home. 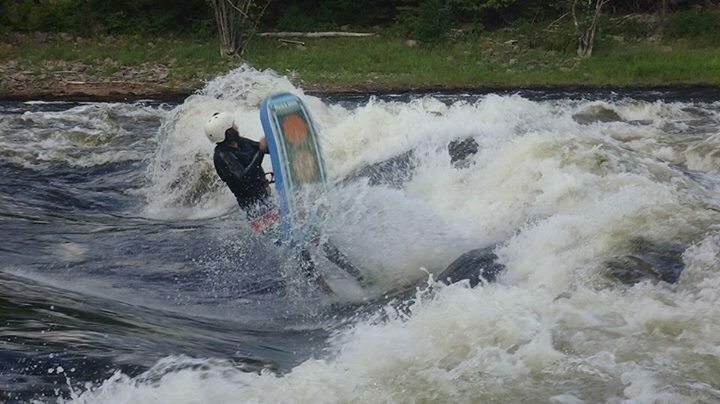 There are not many people involved in whitewater who do not know who Tom Paterson is. 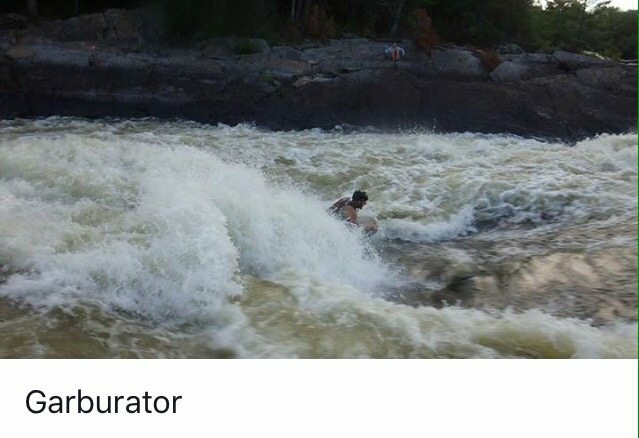 For most non-riverboarding whitewater enthusiasts – Tom is the face of riverboarding and his freestyle moves are viewed by thousands around the world. 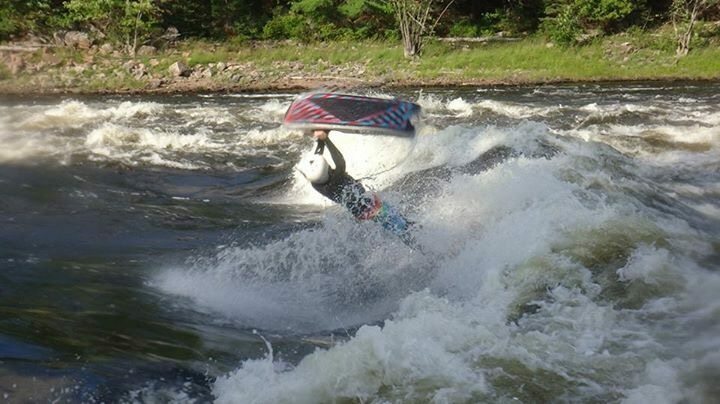 This young charger, along with his older brother Jon Paterson, are the pioneers and the main force behind the development and constant improvement of Freestyle Riverboarding – a discipline within the sport which involves surfing and throwing down freestyle tricks on the biggest and best river-waves available. It is by no means an understatement to say that these boys are in a league of their own. 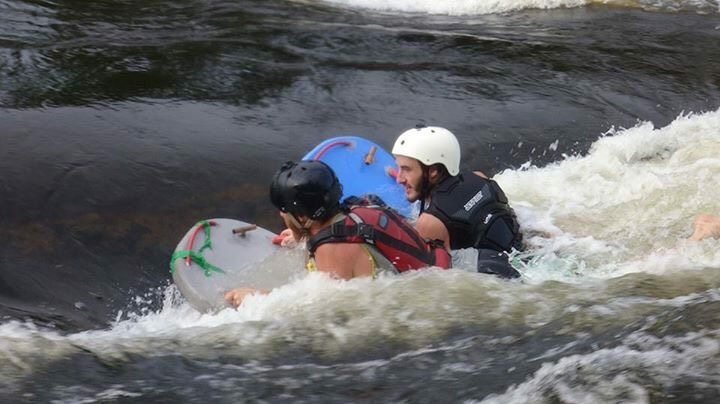 In all my years of riverboarding I have never seen anyone come close to displaying the kind of grace, agility, whitewater-reading skills, and stamina that these brothers do. 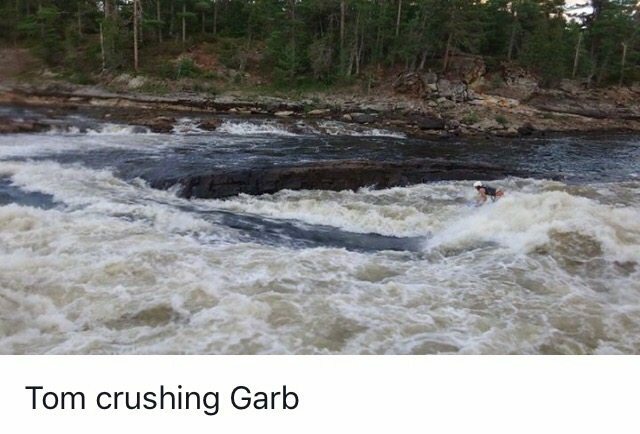 Daily river runs, non-stop throwing down of tricks on massive waves and constant laps on some of the most powerful rapids around (and this wasn’t even the BIG season yet) is the reason that they are the best in the world and why no one comes close to their skill level. Humble Legends – through and through. Needless to say, this was one of the stops of the tour that I was most looking forward to. 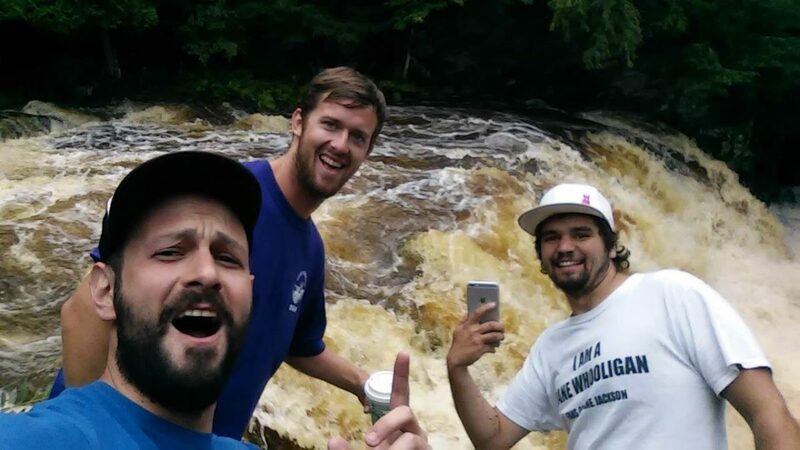 It has been a goal of mine to get out to the Ottawa, meet, and hit the river with Tom & Jon Paterson since I first saw their videos online years ago. 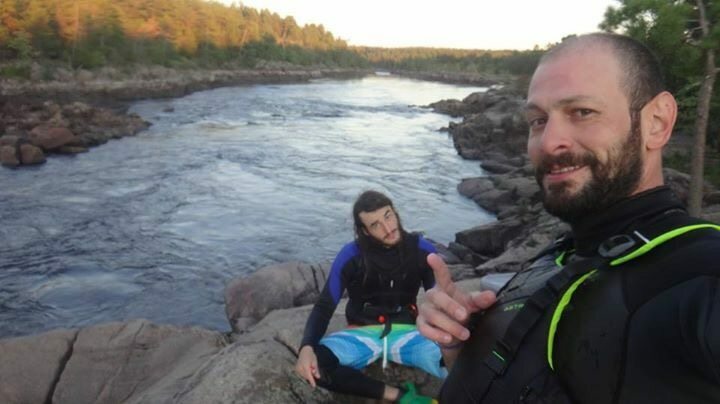 These guys have been an inspiration to myself and many others, and to have the opportunity to hang with and learn from them on their home river was (personally) one of my whitewater goals – and a completion of a dream. After crossing the border from the US, I finally arrived at HorizonX rafting sometime after dark. Tom had not yet arrived, but Jon greeted and welcomed me to their basecamp where I met part of the crew – Adelaine Bertoni & Chris Jandke. The next day we hit the world famous ‘Garburator’ and ‘Push Button’ Waves while we waited for Tom to arrive and join us. 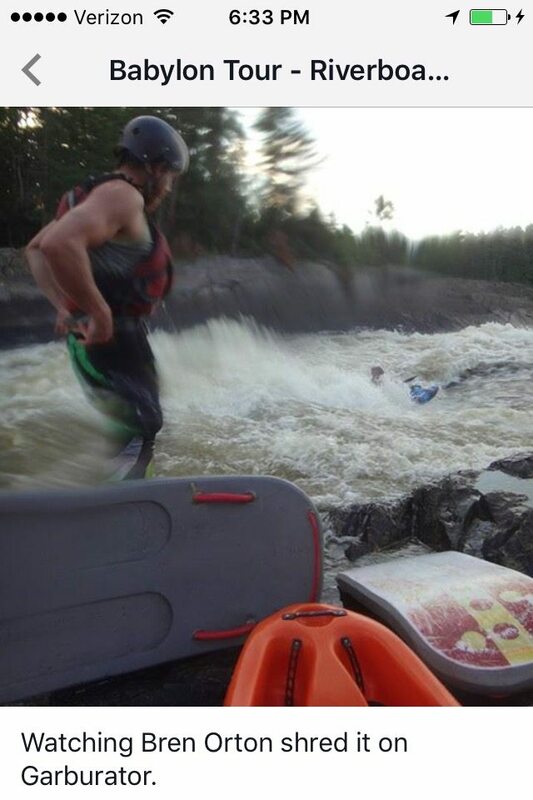 Among the personalities on the river that day was Bren Orton – one of the world’s best freestyle kayakers – an example of the kind of calibre athletes that have elevated and pushed Tom & Jon Paterson to a level where they can successfully share playwaves with the world’s best. 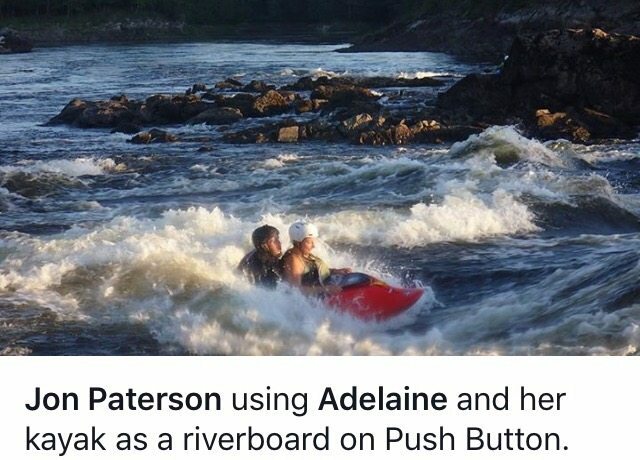 After the first day on the Ottawa, I ditched the Fluid Anvil and decided that I was going to spend my time on the Paterson Flat-Boards and try (often unsuccessfully) to keep up with these riverboarding beasts. 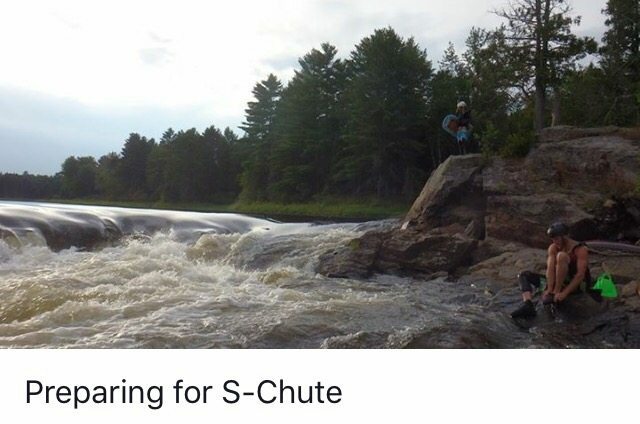 The entire next week was spent hitting the water and discovering the different sections and channels of this great river (I did have to take a day off to heal some wounds on my toes from days of fin-chaffing at one point) with Tom as my guide on some of the most famous waves in whitewater. 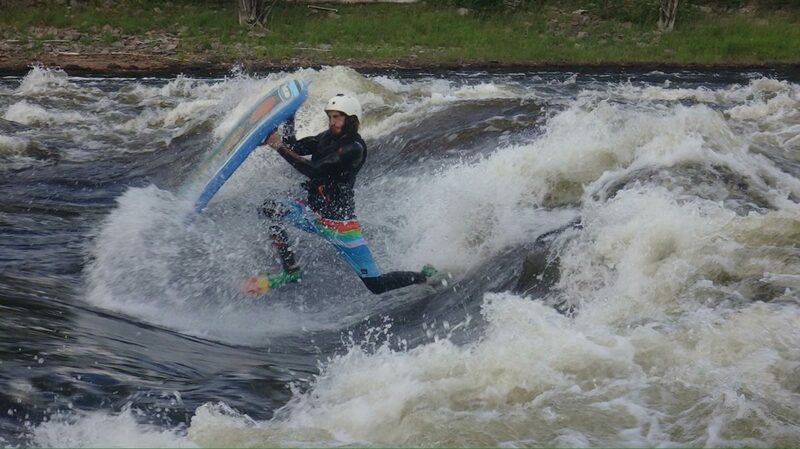 Every day we surfed and ran the river until dark. I felt like I was learning to riverboard all over again – a feeling of growth that I have not had in years. 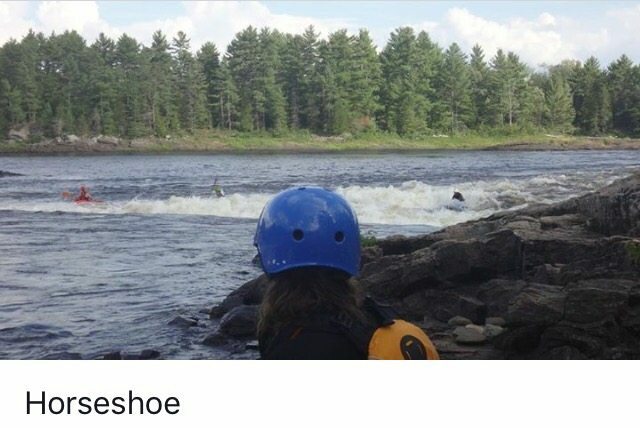 Truly memorable times – after only a few days on the water with them, I could feel my skill set grow and expand, and I undoubtedly left the Ottawa a better riverboarder than when I arrived. Great people and a great river in an amazingly beautiful part of North America. After a week, as Tom & Jon prepared to depart on an epic mission to explore the Manitoba River with a handful of the best kayakers in the world, I also prepared to get back on the road and bring the Babylon Tour – Riverboarding North America to the far east of the continent – Nova Scotia on the Atlantic coast – officially completing an entire crossing of the continent from West to East. Massive thank you to Tom, Jon, Adelaine & Chris for having me out there and showing me around – it was an amazing experience that I hope we can repeat again in the same or some other corner of the world. 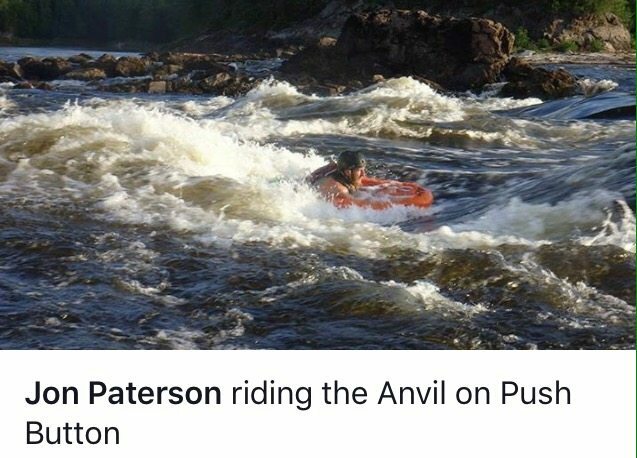 EDITORS DESK: We featured Tom Paterson in a two part series last year that is must read material for riverboarders looking to learn the next level freestyle moves coming out of Canada. Take a walk on the wild side!